Let’s start off with a definition. A powsurf is a bindingless snowboard ridden with soft boots and a leash, using a pad for traction. 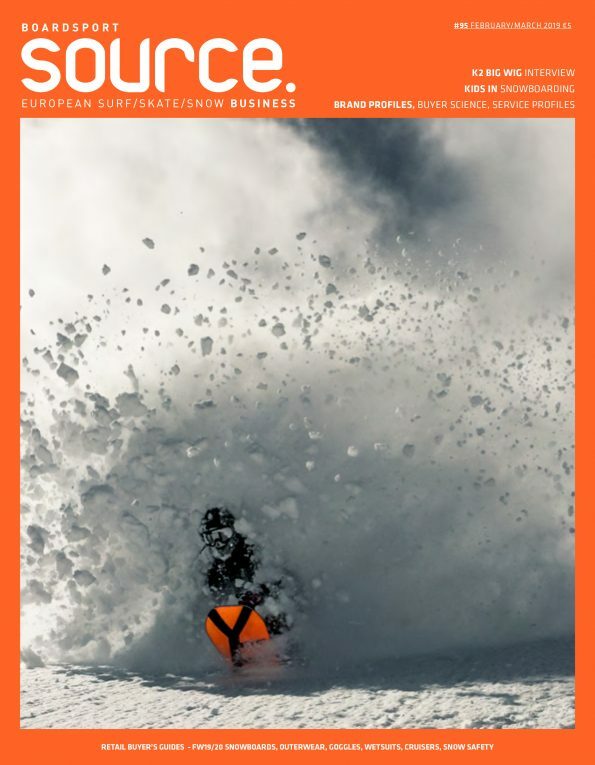 Powsurfing has jumped in popularity the last few years due to better gear, a handful of passionate shapers driving the sport, and an ageing slice of snowboarders looking for a fresh challenge. Now it’s time for decent snowboard shops to get involved, says Tom Wilson-North. Two sides to this game: snowboard brands dipping their toe in with one or two shapes, and dedicated brands with a full range. Then a bit of overlap. 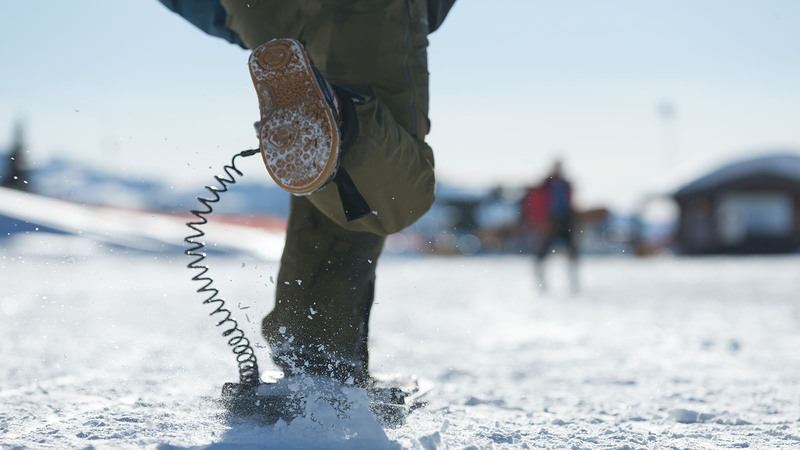 The one you’ve already heard of is Äsmo: “Next year we have a collab with Salomon. 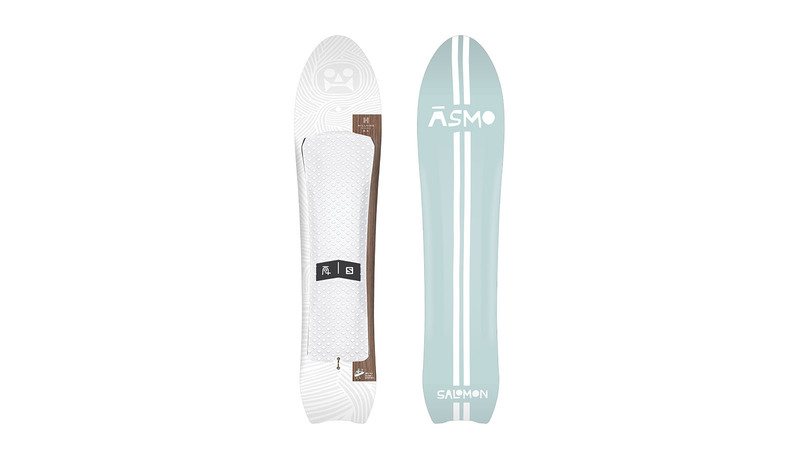 We got together to create my dream quiver – a 159 freestyle board, a 152 special edition of an Äsmo, and a crossover pow snowboard,” says founder Wolle Nyvelt. Continuing the hybrid trend are Moonchild; their Transformer 2.0 has a modular traction pad you can remove and replace with conventional bindings. Weston’s Pow Surfer offers the same possibility. Ben Dietermann’s Konvoi project widens out to encompass a new asym shape called the Escal. “Sans bindings there is a bigger difference between ripping on your frontside or backside, and thanks to this asymmetrical shape, the ride becomes even more fluent,” he says. Can’t wait to try it. Meanwhile, Jones reissue their Chris Christenson-shaped Mountain Surfer, and Burton’s 140cm Backseat Driver from the 18/19 Deep Winter pack gets a full release. A powsurfer uses a 3D base instead of an edge to create grip – and they’re not very easy to build. “We were the first company to bring powsufers to market and we had to build our own presses and moulds, and develop our own process. Every board in our 2019 line has a CDC 3D base and custom 3D foam traction, even down to our smallest child’s powsurfer. Our boards feature a soft-flexing nose for improved float which transitions into a stiffer waist and tail so the board can transfer as much energy as possible from the rear foot,” explains Grassroots’ Jeremy Jensen. Äsmo have gone with a split production – their high-end OG Line being made in their Zillertal (AT) workshop and their more popular Factory Line at their nearby production partner. In powsurf construction, the pad is a big deal too, says Konvoi’s Ben: “Pads are simply crucial to the performance of any powsurf. So, we give full attention to the pads and will be updating them again next year to give our riders more grip, feeling and control”. Distribution wise, can powsurfing work via conventional retail channels or is this a brand-direct business? “The Mountain Surfer is a board that really has to be seen to be fully understood, so customers definitely benefit from the shop experience,” says Jones’ Seth Lightcap. But powsurf shops aren’t exactly common, yet. Today, powsurfs are sold in fewer than fifty shops around the world. “Most do very well with it,” explains Grassroots’ Jensen. “One big challenge is that it’s likely that many people selling the product in shops have never really powsurfed and/or they don’t fully understand the nuances in each shape well enough to translate to the customer. When I sell direct I can communicate better than any shop employee ever could because I know everything about each product, shape, size, profile etc. If a rider gets the board that is not right for them and their terrain choice, they have a bad experience and are much less likely to continue”. All the brands we spoke agreed; the average snowsports participant is unlikely to get far into powdersurfing. It’s hard, the equipment isn’t widely distributed, and you really need the right conditions. “I just don’t think the majority of people in snowsports have the drive it takes, and I don’t think a very high percentage of them even live near the mountains,” thinks Jensen. “But we’ll continue to grow and maybe a decade or two from now powsurfing could become quite large. It’s very similar to surfing in that it takes effort, knowledge and good access. Surfing is a huge industry so this gives me hope, but I do think it will take quite a bit of time. For this to happen it will take a change in people’s perceptions. They will need to look at powsurfing more like surfing and less like snowboarding. Surfers earn their waves through strength, knowledge, persistence and skill, whereas snowboarding, at large, is more of a pay to play, lift-served activity, that is easy and pretty much anyone can participate if they can afford it. The sooner people (and the media) realise that powsurfing is a different animal than snowboarding, the sooner it can grow into something bigger”. It’s our job not just to sell product here, but to introduce participants to the activity itself. And just like how splitboarding was poo-pooed by mainstream stores in the early days, powsurfing can certainly flourish in core retail. But it’s not going to put a Panamera in your driveway anytime soon. “The percentage of “core” riders who are truly passionate about snowboarding is very small and the percentage of those “core” riders that are willing to hike for powsurfing is even smaller. So, in the current market this doesn’t leave a very large number of potential customers to pitch to,” admits Jensen. But let’s kick it back over to Moonchild’s Jure Sodja for a final and more optimistic word. ”Powsurfing will evolve like every sport; one day there will be powsurfs in every store with sports equipment. The most important thing is that the future of powsurfing is not yet written. We are lucky to have chance to evolve powsurfing and have all the excitement, just like the snowboarding pioneers had back in the day”.